Convenient for cat owners in South-East London, Keston Cattery is situated in the countryside between Bromley and Biggin Hill. Cattery accommodation consists of 30 individual runs with heated accommodation areas, overlooking the cattery gardens. 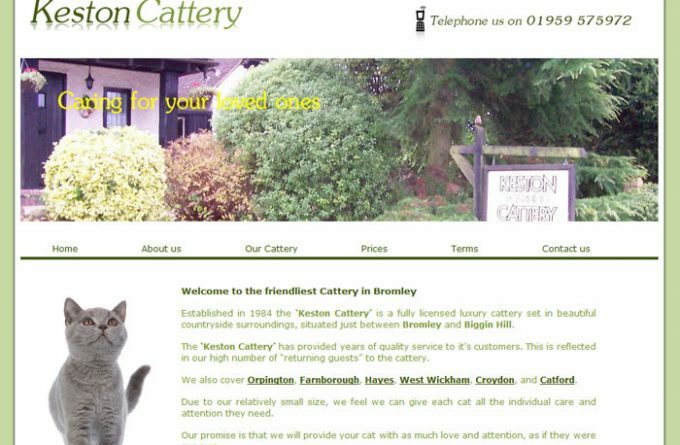 For more information about Keston Cattery, you can visit them in person, visit their website, telephone or send them an email (if available) using the form below.